A bargain conscious traveler, I always prefer to find a cost effective way to fly. Every penny counts when considering that at my typical destination I can find a three course meal and a nights accomodation for less than a set of those obnoxious two-pronged in-flight headphones. And far be it from me to criticize an entity that has been been so financially successful (ahem) as the flight industry, but why flying for less always involves several more flights than necessary has always eluded me. I've often heard that the airline is, "just trying to fill seats", which I had always passively accepted, though it is, of course, an insanely stupid concept. Planes with fewer passengers are lighter, therefore cheaper to fly, as well as more comfortable and easier to manage logistically, ipso ergo the less money they take from me the less beneficial it is for them to spend more time, money and energy putting me on a plane to Chicago when they don't have to. 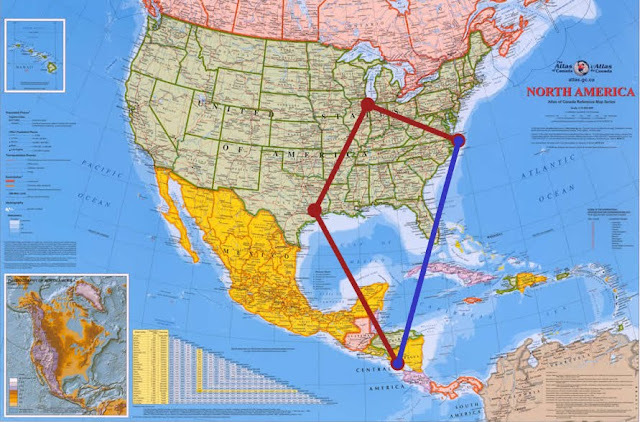 The next logical explanation is that there are only flights to Managua from Houston, to Houston from Chicago, and to Chicago from Norfolk. Not the case. In an uncharacteristic burst of investigative journalism I discovered that not only should I be able to fly from Norfolk direct to Houston, but I could also fly to Managua via Miami, or just direct from Norfolk to Managua for that matter, and furthermore that all of these flights have available seats, which they are not, presumably, trying to fill. So why do I need to tour the half the airport terminals in the nation prior to leaving it? I have a theory. Sure, you could blame it on incompetence and outdated scheduling algorithms, but why rely solely on rational thought? I believe that airlines aren't financially feasible without the concessions. Every passenger that walks through the terminal is a potential consumer of, at the very least, a 12oz. bottle of water for $4 or a $6 Snickers. It's all a plan to keep you detached from the outside world as long as possible only to alternately starve you then deliver you to overpriced concession stands. I've seen it many times in the developing world wherein a bus driver will stop at a roadside restaurant for a half hour lunch even though we're a mere fifteen minutes from our destination. Now surely, you may suggest, the tremendous waste in jet fuel alone would render insignificant even the 6000% mark up on tap water. You might be correct if not for all of the government subsidies flowing into the airline industry. Short of executing pensioners, there was no way for the flagship airlines to once again become feasible financial institutions. Not willing to allow the flight industry to implode, we gave billions of tax-payer's money to the airlines. Yes, I'm suggesting that the entire flight industry is an elaborate ruse to funnel public funds into failing private industry while simultaneously stripping you of your vacation spending money by forcing you to buy Wolfgang Puck's soggy prepackaged sandwiches. What's worse, is that in the process of doing so I may have convinced myself that it's actually true.